I am blessed in that where I live we are surrounded by areas of trees and pasture lands. There are many kinds of trees and many structure designs of the trees. I began to look at the many structures and I began to wonder if I might draw wisdom from trees and how they are designed. This is what I shall address in this blog. Trees, no matter how large they become, always begin with a small seed. 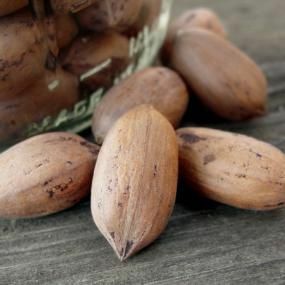 For example, the large pecan tree in our back lot is about 40 feet tall and 50 feet wide, yet it began as a little pecan about an inch long and a half inch wide. Even the tallest trees in the world begin with a small seed not much bigger than that. Within that seed is all the information necessary to gather the nutrients and assemble them to construct and grow the type of tree that it shall become. So, in the beginning we learn that no matter what we begin with we need to make sure that we have knowledge and information to direct us to an end goal. Every tree begins this way. There are no exceptions. The seed must be planted in good soil. The purpose for this is that as the information within the seed is activated it can begin to draw from its environment the nutrients that are necessary to construct the framework of the tree. The information within the seed instructs which tools are necessary and how they are implemented to carry out the work of building the tree. As this information is disseminated the structures begin forming. The first structures are the root system. Though they will continue to grow throughout the life of the tree they are the initial structures set in place. 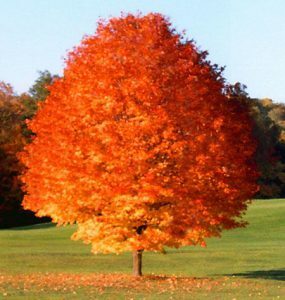 They begin to extract minerals and nutrients from the soil with which the seed begins to build the main body of the tree. This is usually the trunk, though it appears as only a little stem coming out of the ground. As the stem, or trunk, continues to be constructed, leaves begin to appear. These become even more important as the energy which was stored in the original seed is depleted. Leaves are some of the most complicated and magnificent factories ever designed. They, in conjunction with the root system, will provide all the nutrients and energy that the tree will need throughout its existence. 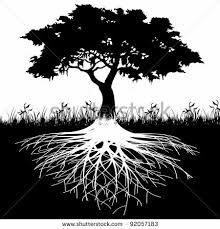 The roots will provide the water and nutrients needed from the ground and the leaves will provide the energy and mechanisms necessary to grow the tree and construct the fruit that the tree will bear. The fruit that the tree produces will provide food for many of the animals that will inhabit the tree and for many animals which will aid the tree in its own reproduction. There are other things that leaves do. One of the nice things they do is that they provide a canopy of shade on hot summer days. There is nothing more relaxing than napping in a hammock on a pleasant summer afternoon. Some trees, such as my pecan tree, recycle their leaves. That is, after they have provided the foods necessary for the growing season and the shorter days and cold weather move in, they shut down their factory and loose themselves from the limb they are on and fall to the ground. There, the protein which was used to construct them begins to break down into its individual components and is absorbed into the soil once again. From there it will extracted for the next growing season. In the pecan tree I cited above the root system is very spread out. Typically, the root system of a tree will spread out so that the farthest reaching roots are as wide as the tree limbs reach. This allows for pressures which winds will produce on the upper body of the tree and anchor against unexpected gusts of wind. For taller trees you might expect a different root structure, and you would be correct. 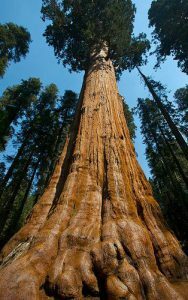 For tall slender trees, such as the Sequoia, which reaches over 200 feet, the root system is different. It has what is defined as a tap root, and from this tap root all other roots connect. The tap root is sometimes as deep as the tree is tall. This adds stability to the tree as it grows taller and taller. As in the pecan tree, the roots extend generally out as far as the limbs of the tree do. Though there is a lot more to learn from trees, what have we learned thus far? First, trees begin with a vast amount of information. Before we begin anything we should try to accumulate as much information as we can. I can think of many things that I began with too little information in hand and soon regretted having done so. Next, we need to establish our position. This is applying the information in the appropriate manner and places so that we set a firm foundation for whatever the project or business is that we are embarking on. When you have grown to a point that you have many “leaves” producing the necessary food for the tree then you may freely enjoy the “fruit” that is born by the tree. 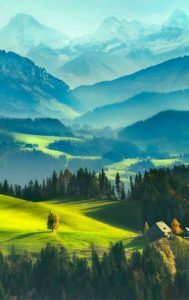 When you have reached this point then that is when you can begin to enjoy the benefits that the fruit affords the tree. The tree does not consume its own fruit but shares it with all who are near it. It provides food for those who live in and around the tree, and it provides new opportunities to grow more trees just like it. 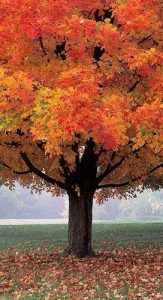 The owner of the tree not only enjoys the beauty and structure of the tree, but he or she enjoys the blessing of the bulk of the fruit. Build your business like a tree. It may take a while, but it will stand the test of time. To find a place where you can begin to build your business with great information go to Wealthy Affiliates and get a free membership. Begin building your business on a good foundation. It was exciting reading wisdom from the trees. And for a second I was like oh yea..it all starts with the seed, with an idea and it grows gradually. I am glad I came to know know about Wealthy Affiliate and I am now growing my tree. Keep up the good work. Thanks for your enthusiastic reply. Keep on growing. Ok, I thought, yes this is interesting, I like trees too, but then it all came together for me. Great message. Motivated me to go build more content and to stay the course! I really enjoyed the story about how a tree withstands the test of time as it grows. Thanks for your interest and your comment. Have a great day!